February 2019 - Paraty Fr. In 1982, Marie-Claude Bantigny entered the CNSM in Paris in the class of Maurice Gendron, and Bruno Pasquier for chamber music. She obtained a First Prize in these two disciplines in 1986. She continued her studies under the direction of André Navarra and Roland Pidoux. Laureate of the International Academy “Maurice Ravel” of Saint-Jean de Luz, she is the guest of the program “Jeunes Solistes” by Maguy Lovano and participates in several recordings for Radio France. 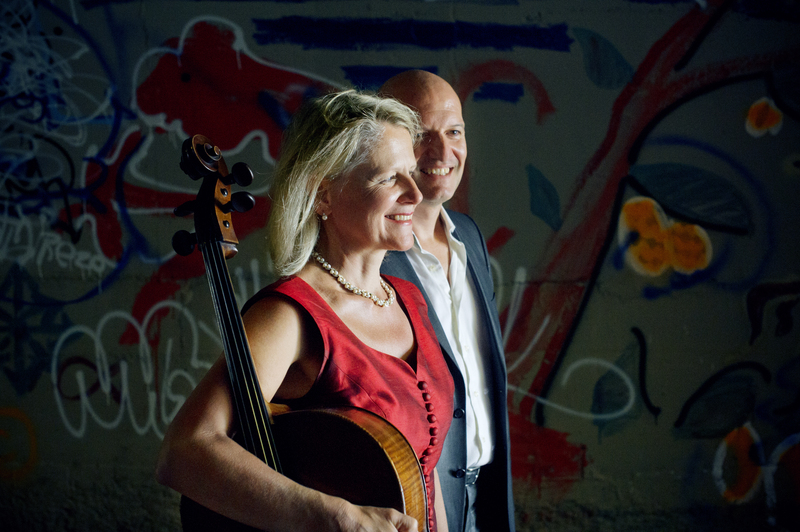 In 1987, she joined the Improvement Cycle in the Chamber Music class of Christian Ivaldi with the “Fidelio” quartet. In November 1987, his quartet won the First Prize of the Trieste International Chamber Music Competition “Sergio Lorenzi”. 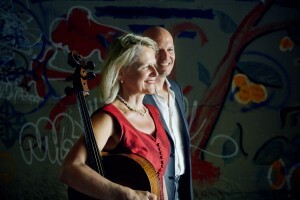 She performs as a soloist with the orchestras of Bordeaux, Bayonne (Basque Coast), Perpignan, and with the Orchester Symphonique Français where she is a solo cellist. In 1991, she recorded her first album with the French Symphony Orchestra, directed by Laurent Petitgirard: The Muse and the Poet by Camille Saint-Saëns and in 1996, a second disc – the 1st Cello Concerto in Saint-Saëns. Since then she has performed as a duet with Noelle Balbi in France and Italy and with her husband David Braslawsky. She just recorded the 5 cello and piano Beethoven’s Sonatas with Romano Pallottini. Born in Italy, Romano Pallottini studied piano with Franco Scala at Pesaro’s National Conservatory where he obtained a first Price voted unanimously. He won successively the First Prices at Milan’s competitions « Interprètes d’aujourd’hui » and « Alberto Mozzati » and the 2nd Price Yamaha “Città di Stresa”. Then, he joined successfully the prestigious piano Academy of Imola in Lazar Berman’s class. ianoes’National Theater (with Orchestre de Bretagne ), Festival des Arcs, Quartz of Brest, Saint-Riquier Festival, Opera of Quimper, Piano Festival of La charité sur Loire, Nuits pianistiques d’Aix en Provence, Palais des arts de Vannes, Nuits catalanes de Perpignan, Nancyphonies of Nancy, Musicalta in Rouffach, Festival de Mayenne, Festival de Mouvaux, Auditorium des Alpes de Courchevel, Archévéché of Narbonne, Palais des congrès de Tignes, Sala Verdi in Milano, Parco della Musica and Teatro Eliseo in Roma, Auditorium Pedrotti in Pesaro with Orchestra Filarmonica Marchigiana, Villa dei Compositori in Torino, Wallonie Festival in Belgium, Atenaeum in Bucarest, Opera of Teheran with Musiciens de la Prée Orchestra, Groningen Concertgebow in Netherland, Kuwait City , Folles journées des Pays de la Loire , Bösendorfer Salle in Vienna, Souzhou ( China), Oslo festival, Piano Festival of Gümüsluk ( Turkey). He made several concerts in Parco della Musica in Rome for the integral of Liszt’s Music, organized by American Liszt Society under the direction of Michele Campanella. He has been pianist for the Opéra national de Paris ballet. After the Aptitude Certificate in Teaching Skills of CNSM, Romano Pallottini is piano teacher at CNSM in Paris (Conservatoire National Supérieur de Musique et de Danse), at Saint-Maur CRR (Conservatoire Rayonnement régional), at Summer Academy and festival Musicalp ( Tignes) , at Pôle Sup 93, Les Arcs, Altidona (Italy), Gümüslük ( Turkey), Souzhou ( China). He is regularly invited in International ( Maria Canals in Barcelona, Brest, Yamaha of Lyon, Mayenne, Lagny sur Marne, San Sebastian) and National competitions as a member of jury as well for the examinations of CNSMD of Paris and Lyon and he signed a 3 years contrat with China for concerts and masterclasses. 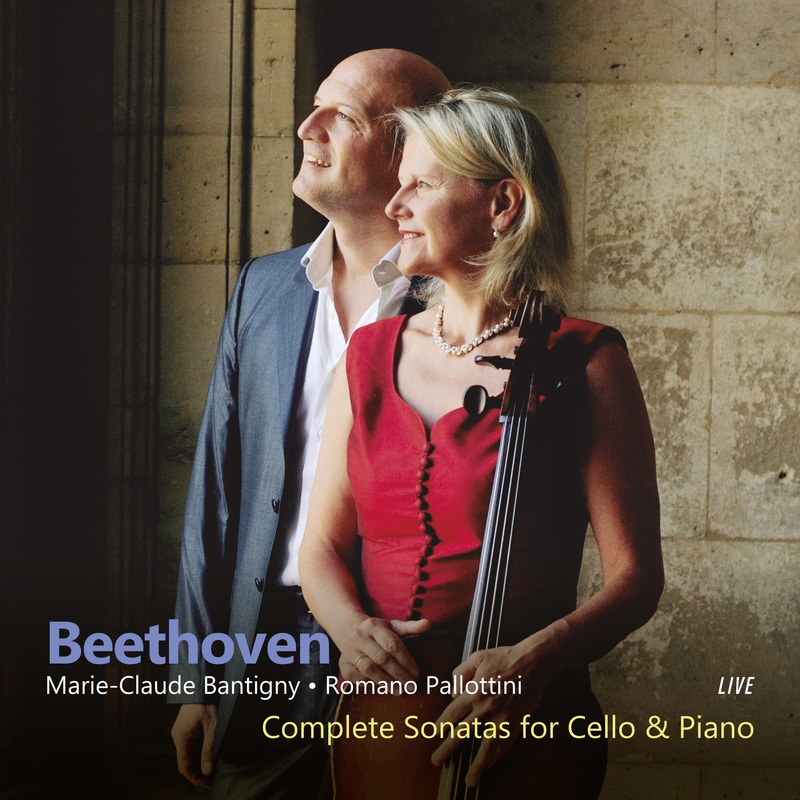 He just recorded the 5 cello and piano Beethoven’s Sonatas with Marie-Claude Bantigny.